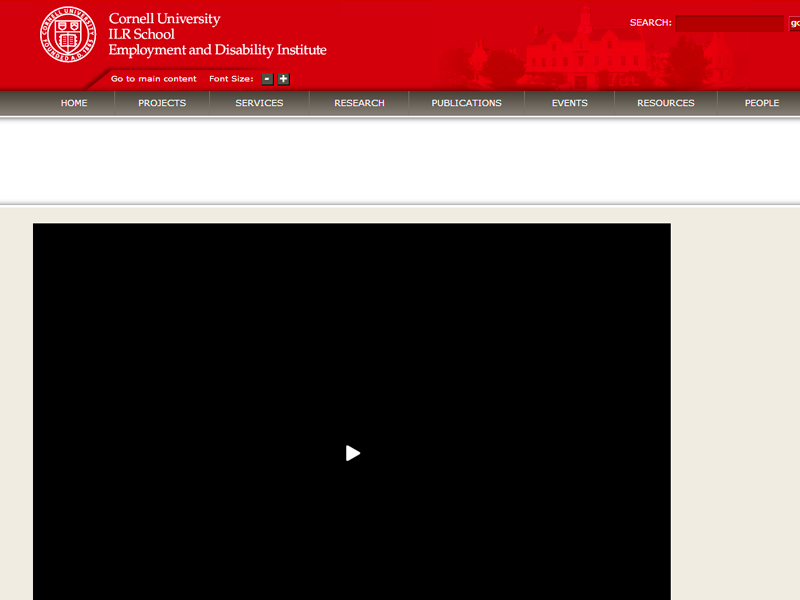 Key findings to date in an examination of data on employment discrimination charges filed under Title I of the Americans with Disabilities Act. 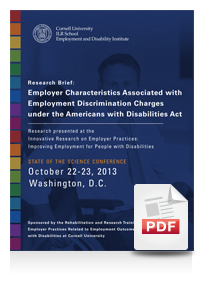 Trends and patterns in these data, such as charge filing rates and characteristics of employer receiving charges, are provided and the implications and the importance of employer practice in minimizing perceived disability workplace discrimination are discussed. 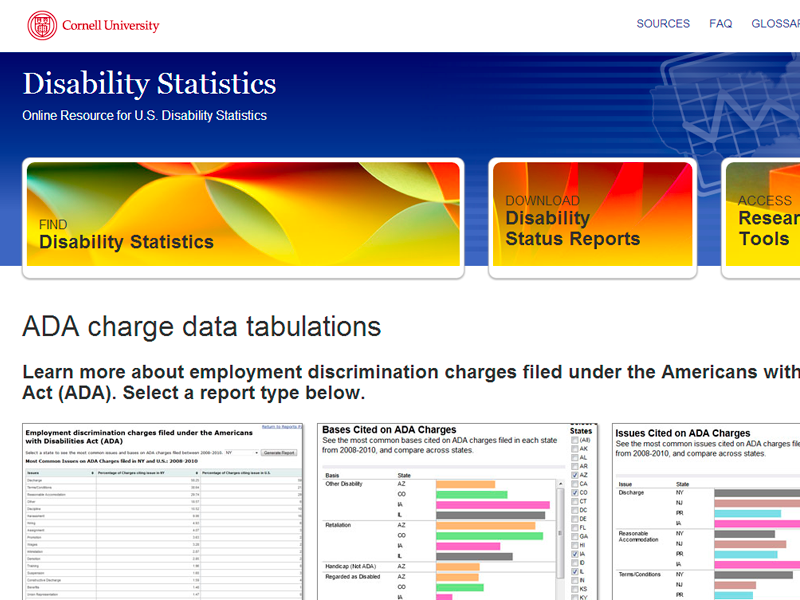 Learn more about employment discrimination charges filed under the Americans with Disabilities Act (ADA).